You are currently browsing the tag archive for the ‘nuclear holocaust’ tag. The very first line of this book describes a nuclear holocaust. Aha, I thought to myself, post-nuclear apocalypse. Something of a common enough trope for a long period of time and I note that Obernewtyn was published in 1987, so still during the dying embers of the Cold War. 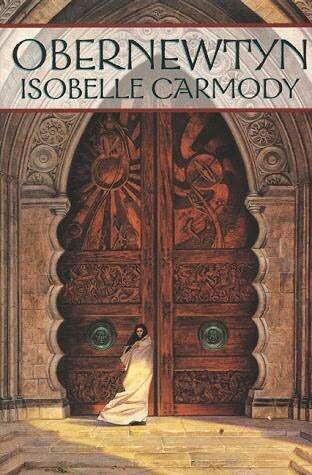 Isobelle Carmody reverses expectations by going on to write something that’s more akin to Tolkien-inspired fantasy though. Elspeth and her brother’s parents were killed by the tyrannical Council for the crime of ‘sedition’. Both of their children still do not know what exactly this involved. They find themselves orphaned in a land ruled with an iron fist by a religious hierarchy that worships a god called Lud and rejects all technology. The few remaining fertile lands are controlled by the Council, who employ an enclave of clergy known as Herders to enforce their belief that the holocaust was a punishment from god and they are his chosen people. Some children are born with mutations due to radiation. The Council hunts them down and sends them to work on labour farms. Less obvious mutations can leave the child undiscovered for many years. These hidden mutants are referred to as Misfits and are greatly feared, for the Herders teach that they are possessed by demons. Elspeth is a Misfit. Her brother is unsympathetic, as over the years he has begun to confuse keeping them both safe from harm, with gaining power and prestige. He wants to become a Herder and is more concerned that if his sister’s secret is discovered, it may rob him of his chosen career. Despite the danger, Elspeth enjoys the abilities she has gained as a Misfit. Sometimes she has premonitions, she can hear thoughts and even, she learns after meeting an old cat named Maruman, speak telepathically to animals. Then one day an agent from the secretive institution known as Obernewtyn arrives at the orphanage, hunting Misfits. Elspeth is denounced and taken across the blasted countryside to a mountainous fortress where a mysterious Dr. Seraphim is said to perform experiments on children born with mutations. There Elspeth is forced to endure endless days of hard labour, but she also discovers a sense of liberation through being in the company of her own kind. No one has ever seen the strange doctor who is said to run the institution, but occasionally children disappear from their bunks, only to be found later delirious and weakened. Elspeth and her new-found friends decide to plot their escape from Obernewtyn, fearing they will be next. The villainous Madam Vega and her pet Misfit Ariel have other plans for her though and soon she finds herself caught in a struggle between the forces of Obernewtyn and the hidden rebel army of Henry Druid. Right, first things first, when I announced Children’s Literature Week, I mentioned in the comments that I wanted to get away from the books I had read as a child, primarily Tolkien and Lewis. Seems I have fallen at the second hurdle. Isobelle Carmody riffs shamelessly on Tolkien, even lifting whole lines from The Lord of the Rings and Germano-Celt names. At one point Elspeth has a vision of a giant eye searching for her. At times the book seems derivative of A Canticle for Leibowitz by Walter M. Miller Jr (dytopian religious fanatics) and The Sword of Shannara by Terry Brooks (nuclear holocaust creates fantasy world). So I am sorry to say there is nothing here I have not read before. I could damn it with faint praise by saying it’s readable (Obernewtyn is like Hogwarts but more realistic, i.e. depressing), but it pains me to do so.